As part of my semi-regular series that spotlights the author members of the Your Kid’s Next Read Facebook group, I’ve invited Karen Hughes over to visit. Karen is the author of the Kalika Magic series, a fantasy quest exploring themes of courage, resilience, and the power of imagination, for readers 9+. 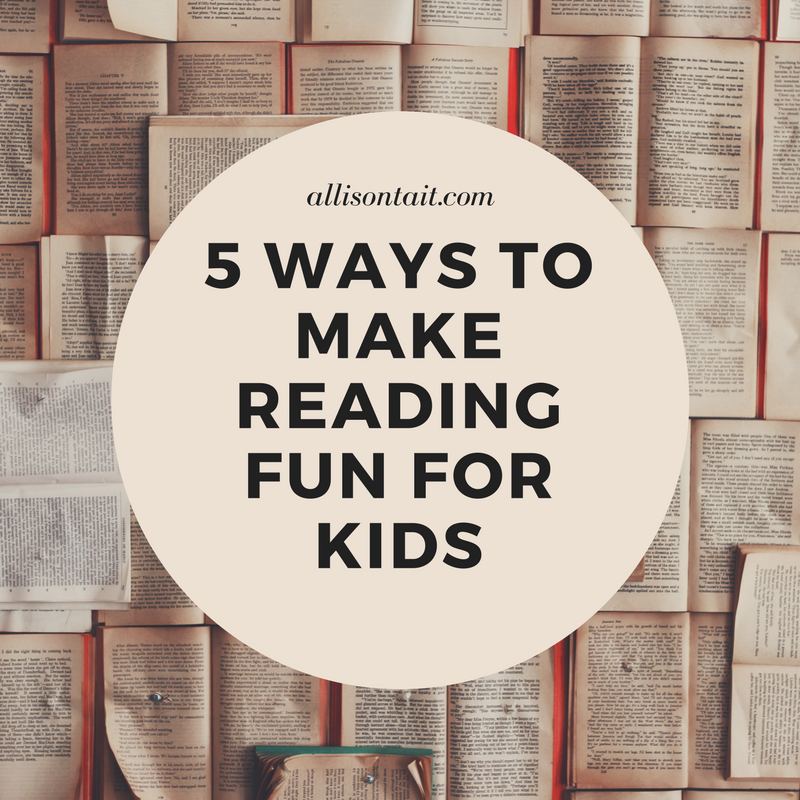 In this post, Karen explores ways to get kids reading – and to make it fun! It’s hard to get a job if you can’t read, our kids are told. If you want to be a professional – a doctor or a lawyer or a beancounter at Macquarie Bank – then you need to be a good reader. You need to be top of the class, the one with the best marks, the one who finishes homework and hands it in on time. Sadly, with all this focus on marks and testing and measuring our children against each other, we’re in danger of putting them off reading all together. What happened to sitting in a tree all afternoon with a battered copy of ‘The Lion, the Witch and the Wardrobe’? Or hiding under the covers reading ‘Charlie and the Chocolate Factory’ by torchlight? When did we forget that reading was supposed to be fun? I think we worry about our kids too much. We put so much pressure on them to perform, to compete, to live up to our expectations. We pile them with homework and tell them where to be and what to do every minute of the day. No wonder they want to disappear inside the closest computer screen. Reading is more than a job skill. A good book opens up a world of adventure. It gives kids the chance to escape when life gets tough. There’s a richness and wonder in storytelling that nourishes the soul, a magic in a well-crafted sentence that creates the same feelings in the reader as listening to beautiful music or admiring a fine painting. It teaches kids that their imagination is precious, that creativity is important, and that not everyone thinks the same way. 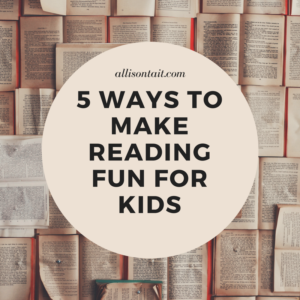 So how do we make reading fun for our kids? Here are five ideas. 1. Join your local library – Make the library a regular hangout. Get an ice-cream afterwards. Let them play on the computer if they must, but make sure they’ve picked a good book to take home. You can suggest books and encourage them to look in the right section, but make sure it’s their choice. If they want to read fairy books or animal books or strange books about skeletons, let them (maybe hold off on ‘Game of Thrones’ for a few years). 2. Read to them – Kids are never too old for bedtime stories. Choose something that’s fun and that you’ll both enjoy. Andy Griffiths’ ‘Just’ series is great. ‘Grimm’s Fairytales’ is always good – especially if you can find an original version with bloodthirsty stories like the Robber Bride. 3. Encourage them to read to you – Take turns reading a novel together, maybe a page each. This is a great way to get them interested in more difficult books or classics they mightn’t pick up by themselves. Try ‘The Hobbit’ or ‘The Wind in the Willows’ or anything you loved as a child. You’re allowed to be nostalgic. If it’s obvious that you love hearing the story, chances are they’ll love reading it to you. 4. Turn off the screen (or be tricky and limit it to ebooks) – Kids model the behaviour of the people around them. If they see you on Instagram all the time, they’ll want to do the same thing. If it’s normal for you to sit on the lounge with a book, or read in bed before turning out the light, then it’ll be normal for them. If you can’t prise the screen away from them, use it to your advantage. Get the BorrowBox app and download books for them. It’s free and easy, and you don’t even have to go to the library. 5. Let them be bored – Reading takes concentration. It takes free time. There’s no reason for kids to pick up a book if they have something better to do. From the age of eight, a child’s rational brain begins to develop and their brain waves change. They move from a state of wonder, where they absorb everything like a sponge, to a more critical wavelength. They begin to form their own view of the world, creating habits and patterns that will last a lifetime. One of these can be the love of books. And books are worth loving. Children find courage and strength in the stories they read. Thalia from Hong Kong wrote to tell me she had painted the Kalika word for ‘courage’ on her pencil case because ‘it makes me feel brave like the kids in your books’. Harry from Spain wrote to say he wanted to read more Kalika Magic books because ‘Kai worries about things sometimes, just like I do’. The love of reading is a wonderful gift to give your child. It goes beyond school and tests and competing for the best marks. It’s something that will stay with them forever. 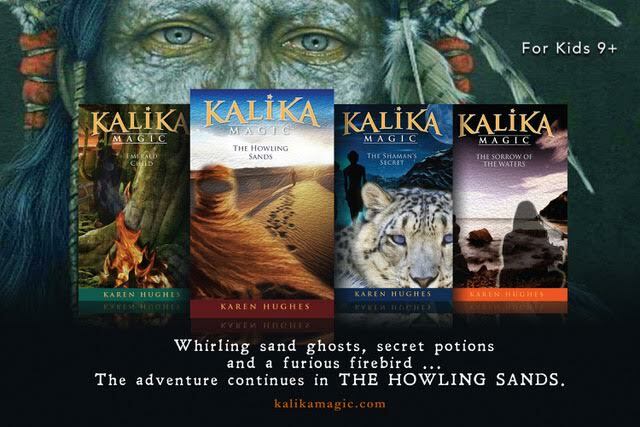 The Howling Sands, book 4 in the Kalika Magic series, is out now. Find out more about Karen Hughes and Kalika Magic here.